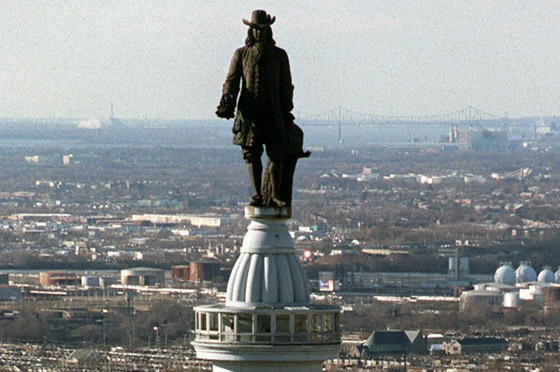 On this date in 1682, William Penn founded Philadelphia to serve as capital of the Pennsylvania Colony. It just feels like it was a thousand years ago. Trivia: The decriminalization of possession of small amounts of marijuana, and the reduction of penalties for possession and public use to minor fines and community service, makes Philadelphia the largest city in the United States to decriminalize pot. Among other things, this is also National Potato Day. Florida man robs bank, leaves, has a drink, returns when he hears sirens. Owen D. Young, American industrialist, businessman, and lawyer. Even if Hillary Clinton wins, our long national nightmare may not be over. If Republicans continue to control of the House of Representatives, hang on for 'years' of investigations of the possible President. It turns out that French-Canadian flight attendant Gaetan Dugas was not "patient zero" in the AIDS epidemic, he was patient "O"- capital "O", meaning outside California. The misinterpretation of the letter as a number made Dugas the fall guy for the spread of the deadly virus in the United States. Comedian Patton Oswalt on the sudden, unexpected death of his wife: Mr. Oswalt has suffered from depression, but this, he said, was far worse. "Depression is more seductive," he said. "Its tool is: 'Wouldn't it be way more comfortable to stay inside and not deal with people?' Grief is an attack on life. It's not a seducer. It's an ambush or worse. It stands right out there and says: 'The minute you try something, I'm waiting for you.'" Darrell Issa, a California Republican and one of the richest and most obnoxious members of the House, is the legislative branch's mini-Trump. For 16 years, he has tortured Democrats. And he could finally be defeated at the polls this year. Last week, Peggy Noonan argued in the Wall Street Journal that an outsider like Donald Trump could've won handily this year, touting skepticism of free trade and immigration, if only he was more sane, or less erratic and prone to nasty insults. But then, he wouldn't have been Trump. It makes senset that an insect that preys on spiders must be pretty horrific itself. And live in Australia.